In less than two years I've been able to be certified and work in a wide array of technologies, nailing down 5 major industry certifications in networking in routing, switching...Read moreIn less than two years I've been able to be certified and work in a wide array of technologies, nailing down 5 major industry certifications in networking in routing, switching and security technologies and supporting others such as VoIP and Wireless. Ideally, I'm looking for the opportunity to support corporate or ISP networks and grow in this to become an onsite network engineer. Aside from that, I have an interest in educating people in networking technologies and independent consulting. great job. everything completed as promised. great guys. expert and helpful. great job. fast and professional. Awesome job...we were very pleased with the output! Already she is working on the next project...great!! 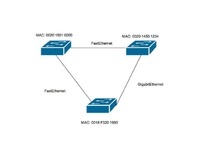 Need help with a configuration problem in our network.